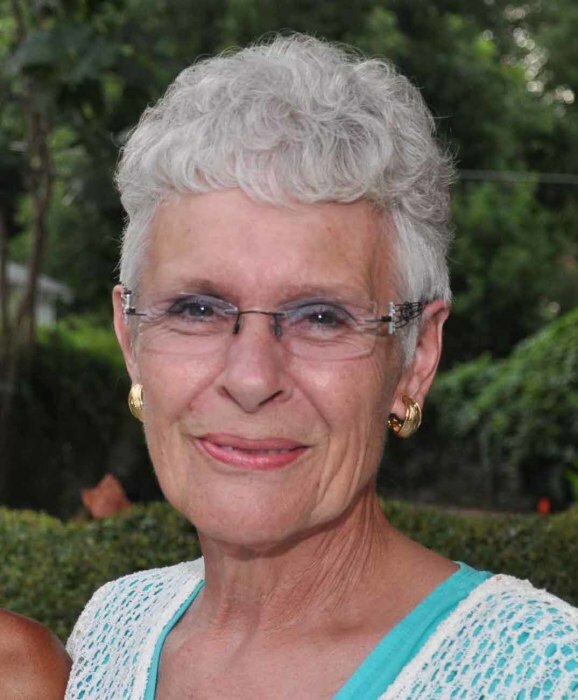 Susan Baak, age 68, of Holstein, passed away on Tuesday, February 12, 2019 at the Good Samaritan Society of Holstein. Her last wishes were honored by being an organ donor. A funeral service will be held on Saturday, February 16, 2019 at 10:00 AM at the St. Paul Evangelical Lutheran Church of Holstein with the Pastor Bob Lewis officiating. Burial will be at the Immanuel Lutheran Church of Charter Oak. A visitation will be held on Friday, February 15, 2019 from 4:00 PM – 8:00 PM with a prayer service at 7:00 PM at the St. Paul Evangelical Lutheran Church of Holstein. Susan Elizabeth Baak was born November 15, 1950, in Denison, Iowa to James and Mary (McDaniel) Hanks. She grew up in and around Little Sioux, Iowa and attended West Harrison High School. She married Roger Johnson on July 8, 1967, at Ute, Iowa. They became the parents of three children: Lisa, Eric, and Scott. They divorced in 1979. Susan married Dale Baak on April 27, 1996 in the chapel at St. Paul Lutheran Church in Holstein after a 15-year “courtship”. They were married for 22 years until Dale’s death on September 25, 2018. Susan and Dale were Vikings fans. They also enjoyed camping and socializing with friends—particularly Friday nights entertaining friends in their three-season room which provided the setting for many hours of fun. Susan also enjoyed reading, bowling and gardening. During Susan’s working life in Holstein, she worked at the Blue Eagle, Rosie’s, and Mary’s Café before starting to work for VT Industries in 1996. She retired from VT after 20 years of service. The highlight of her retirement was taking her family on a trip to New Orleans in February 2017 which she had earned as an acknowledgment of her years of service to VT.
She was a member of St. Paul Lutheran Church in Holstein. In addition to her beloved dogs Holly and Izzy, Susan is survived by: daughter Lisa Steffen and husband Randy of Charter Oak; son Eric Johnson and husband Dr. Mark Parker of Dallas, Texas; son Scott Johnson and wife Mia of San Bernardino, California; mother Mary Hanks of Missouri Valley; stepdaughter Teresa Ohnesorge and husband Mike of Spencer; stepson David Baak and partner Kelly Bruning of Maurice; stepson Ryan Baak and wife Amber of Ruthven; brothers-in-law Larry King of Missouri Valley and Stan Hinkel of Castana; and sister- and brother-in-law Pearl and Wayne Keesling of Manilla. She is also survived by 14 grandchildren, two nephews, a niece, eight grandnephews, and three grandnieces. Susan was preceded in death by: husband Dale; father James Hanks; sisters Patricia King and Jane Johnson Hinkel; parents-in-law Julius and Alberta Baak; brother-in-law Rodney Johnson; and brother- and sister-in-law Paul and Diana Baak.